Memorial Day Party Clean Up! It’s so hard to believe that Memorial Day weekend is only a week away. You still feel like it was yesterday planning your party, having friends and family over for a fun filled weekend of celebrations and well-deserved time off. Now you’re in the process of getting supplies and sending Facebook invitations to those same family and friends to have another exciting weekend! 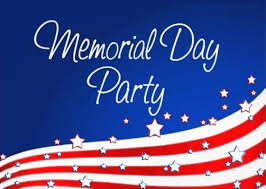 Memorial Day weekend is also the unofficial start of summer, meaning pool parties, outdoor gatherings, barbecues and relaxing afternoons. All of these events sound fantastic, but then there is the clean up. After the weekend ends and all the good times and laughs are now memories, you have to figure out how your going to clean your home. Your area rugs and carpets have dirt from all the foot traffic coming in and out, your bathroom & kitchen tiles need to be waxed and cleaned along with the upholstery that’s gotten its use. Have no fear, as Bestway Carpet & Tile Cleaning are here to the rescue to help elevate any worries of having your home cleaned as good as new in a timely manner. Bestway understands that after a nice holiday weekend the last thing you want to think about is cleaning up a mess. Hire the professionals at Bestway to come in and clean your home today! We offer a number of different services to our New Jersey based customers including carpet cleaning, area rug cleaning, floor waxing, upholstery cleaning and even mattress cleaning! We want to be sure you feel that your home is taken care of after a long weekend of celebrations. This entry was posted on Thursday, May 19th, 2016 at 2:05 pm and is filed under Carpet Cleaning in NJ.